Lucidchart and Okta gave Acxiom employees the ability to select the apps they needed, without sacrificing administrative oversight. Acxiom adopted Okta, a cloud identity management platform, and integrated Lucidchart. Administrators can grant Lucidchart licenses from the company’s Okta portal and track app usage. Once they receive a license, employees can log into Lucidchart through Okta with single sign-on, a process that is more convenient for users and reduces a security risk for the company. Lucidchart’s integration with Okta speeds up the approval process for licenses and gives anyone in the organization instant view-only access to Lucidchart without manual approval. Acxiom employees around the world can start collaborating on Lucidchart documents right away. Acxiom is a top provider of marketing data and analytics software, with offices in nine countries around the world. The company’s willingness to embrace new technology has allowed Acxiom to remain relevant for more than four decades. With nearly 50 years of accumulated wisdom and experience, Acxiom Corporation remains a top provider of marketing data and analytics software. Clients rely on Acxiom’s platform to help them not only gather data but also to glean actionable insights from that data. Over the years, the company has adapted to one technological wave after another, adopting promising new technologies to support their big data model whenever possible. Recently, this has involved increased use of cloud applications instead of traditional on-premises software. The shift came at the request of CEO Scott Howe, who saw the need to invest more in research and development. Part of his vision was to give individuals an active role in selecting the tools and methods they use to get their work done. Although employees appreciated the newfound flexibility, a few problems arose. As people signed up for apps on a piecemeal basis, it was difficult for administrators to know who was using which apps and how money was being spent. There were also the inconveniences and risks of logging into multiple apps separately. What Acxiom needed was a way to protect individual choice and initiative without jeopardizing administrative oversight—in as simple a fashion as possible. 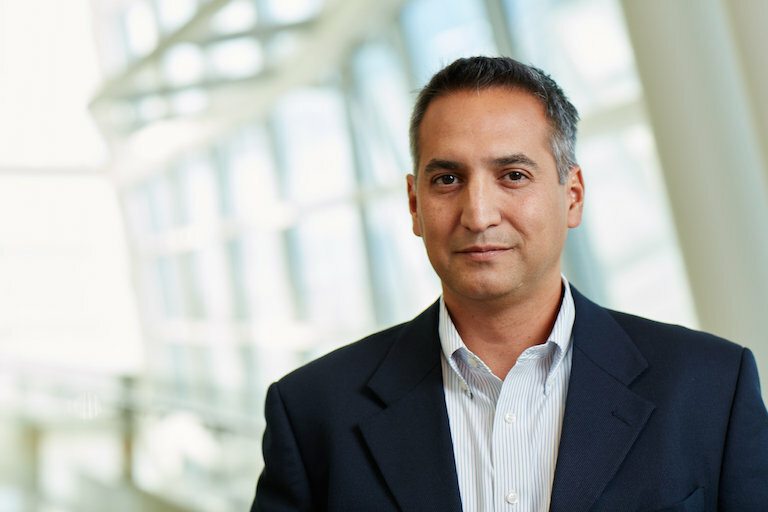 Expert Information Security Manager Pablo Valarezo was quick to notice the growing need for cloud identity and access management at Acxiom. He began to work closely with an internal collaboration team to manage the organization’s use of cloud apps. Members of the collaboration team were particularly interested in Valarezo’s experience with Lucidchart, an online diagramming app. Valarezo had started using Lucidchart as a replacement for Microsoft Visio when he switched from a PC to a Mac. In fact, others at Acxiom had begun using Lucidchart as well, and the collaboration team soon determined to make it more widely available. Originally, they planned to offer Lucidchart licenses to Acxiom employees through a SharePoint workflow. However, this plan was rejected due to the amount of work it would require for individual employees to find the workflow and submit a request, for someone else to vet that request, and finally for an admin to provision Lucidchart to that individual. Instead, after investigating several options, the team decided to adopt Okta’s comprehensive cloud identity management platform, which offers provisioning, single sign-on, and more. Because Pablo’s team integrated Lucidchart with Okta, it became much easier to manage use. Now, any employee can just click “Add apps” in Acxiom’s Okta portal, then click Lucidchart to request a license. Admins can then respond to license requests from within the app, without having to log into Lucidchart. 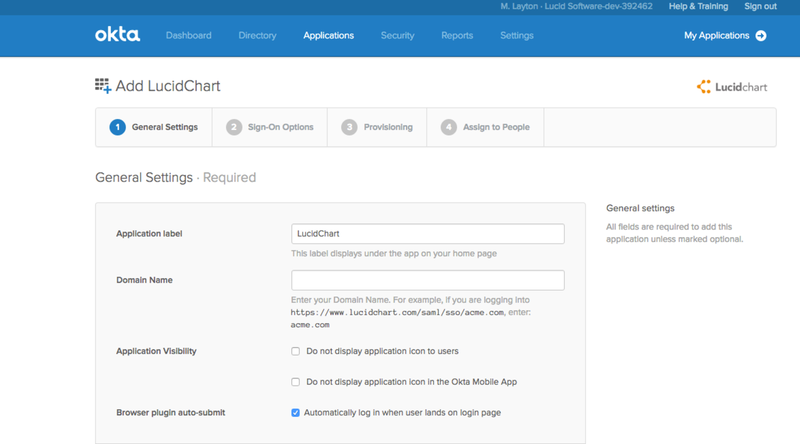 As soon as a request is approved, Lucidchart is added to the individual’s Okta portal for easy access and single sign-on. Meanwhile, anyone in the organization can receive instant view-only access to Lucidchart without manual approval by an admin. Consolidating their use of Lucidchart and other apps under Okta’s umbrella has brought a host of benefits. Using Okta has also increased the productivity of individual teams and employees by allowing them to select the software that best fits their needs, instead of taking a one-size-fits-all approach. For instance, while the majority of Acxiom employees use one document collaboration platform, at least one division has opted for a different one instead. Finally, the Okta integration has given administrators peace of mind, knowing that they can easily track and manage app usage and identity both globally and on a granular basis. The reliability and accessibility of the cloud apps come as an added bonus. Acxiom’s willingness to embrace the value added by new technologies has allowed the company to remain relevant for more than four decades, partially because each success sets them up for another. Creating collaborative diagrams in the cloud has helped Acxiom to become early adopters of another Okta feature, in which user identities can be ported from Okta into an IaaS platform, instead of the other way around. In the end, as Valarezo says, “It’s all about identity. I want to know that we’re enabling our associates. But I also want to know that the identity belongs to an associate and not somebody else.” With Okta and Lucidchart, he’s been able to meet both objectives. With Lucidchart Enterprise, your users can authenticate their accounts through SAML single sign-on, and you can create, provision, and deprovision users through the familiar Okta interface. Encourage your entire company to think visually. Try Lucidchart!